Third in a series of five ghost story books by author Thomas Freese features a dozen wonderfully crafted short story mysteries. Each tale displays the enchanting storyteller’s voice that Thomas Freese gives in his performances as well as what readers of his previous two books enjoyed (Shaker Ghost Stories and Fog Swirler). Perfect for night time fare, reading to children or adding to your ghostly library, Strange and Wonderful Things shows off the author’s skill in creating surprise endings and karmic circumstances. 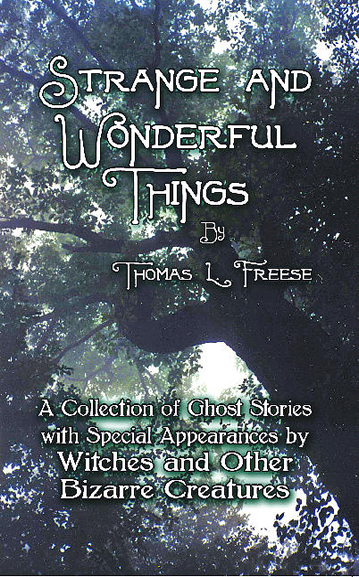 Thomas Freese’s Strange and Wonderful Things is suitable for children and adults and provides readers with suspense, ghostly intrigue, life lessons and pleasurable entertainment. “Car Rider” brings new nuances to the classic hitchhiker tale. “The Healing Child” sees a helpful spirit touch a man’s heart. Other story titles promise fascinating narrative and characters--“The Witch’s Rake”, “The Closet”, “Moving Graves”, “Happy Campers”, “Dust Bunnies” and “Whispers”.